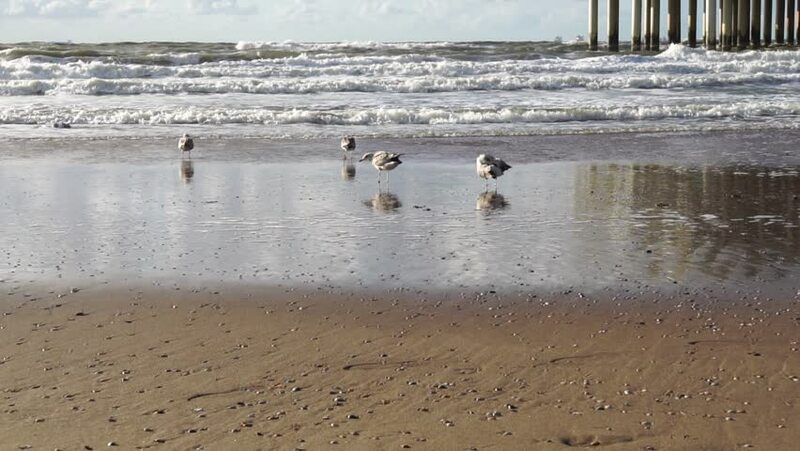 Seagulls On The Sand Beach Of Scheveningen, The Netherlands. Birds And North Sea. Scheveningen is most popular seaside resort in Holland. Slow Motion And Close Up. Beautiful Background Of Summer Time. 4k00:17Birds, ducks, gulls floating on the river, fly over water Evening at sunset Autumn Spring. Black, green, korrichnevye ducks fighting for food with sea gulls. 4k00:12Aerial view of the beach of Long Branch, New Jersey. A lot of people are tanning and relaxing on the beach. Some are enjoying the cool ocean. hd00:07King penguins on background of seals on beach of the Falkland Islands. Predatory hunting wiped out a lot of pinnipeds. Coast of cold ocean on background of snowy mountains. Wild nature.